Earlier this month, Dylan Byers observed that the National Review Online newsroom was enduring a sudden exodus. Though their political reporting had been praised during the government shutdown in October of last year, by February of this year, many had left for better opportunities. Of the reporters who covered the shutdown, for example, the only one left was Betsy Woodruff. Well now, even Betsy is saying farewell to the National Review. The Washington Examiner announced yesterday that Woodruff would be coming on board as a Political Writer, reporting on the Senate and House elections this fall. 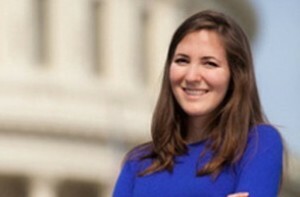 She will also help out on Capitol Hill, and write pieces on political and popular culture that will appear every week or so online and in the Examiner magazine. National Review‘s Editor Rich Lowry told Byers that he would be hiring more staff soon. But we wonder if he’ll have any time for interviews. At this rate, before long he’ll be busy writing and editing every story on the website by himself.